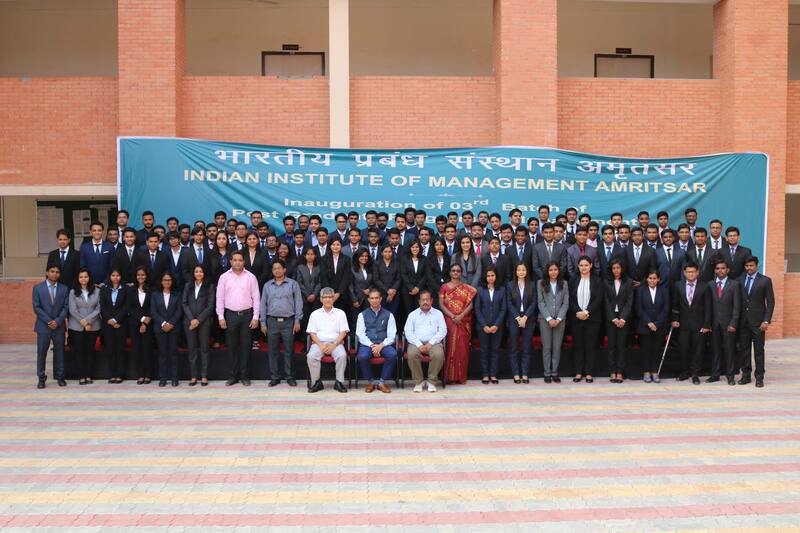 On 22nd October 2016, students of IIM Amritsar had the privilege of interacting with Mohammad Asif Iqbal, Manager, HR consulting at Price waterhouse Coopers (PWC). He is the first visually impaired person to graduate from St. Xavier’s College, Calcutta in commerce and also the first visually impaired to be awarded PDGM (MBA, HR) certificate from symbiosis Center for Management & Human resource Development and the fifth visually impaired Indian citizen to be a certified MBA. He now has more than ten years of experience in Human Capital consulting and Egov consulting and has designed functional competency framework for large (NBFC) client for their insurance business. He designed and implemented social inclusion strategy enabling Aadhaar enrollment for marginalized groups such as disabled residents, leprosy affected residents, homeless, migrant laborers in India for UIDAI and was also was instrumental in designing KRAs, KPIs, Business Process Restructuring, business development and Skills gap assessment for State of West Bengal. It was an interactive session where he shared his journey with the students of IIM Amritsar. He spoke about the obstacles that he had to face because of his special needs had how he overcame them with his hard work and desire to excel. Besides being studious, Mr. Asif is a techno-savvy person and uses softwares like Job Access with Speech (JAWS) on his computer, which is a computer screen reader program for Microsoft Windows that allows blind and visually impaired users to read the screen either with a text-to-speech output or by a Refreshable Braille display and an inbuilt voice over on his i-phone with the help of which he reads online newspapers and does online banking. He also mentioned that he is a regular user of social networking sites and blogs.